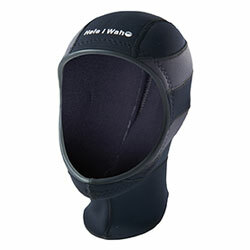 A specialty material featuring excellent drainage and breathability. Unlike with mesh materials, Breathprene is less likely to allow the intrusion of sand and pebbles. 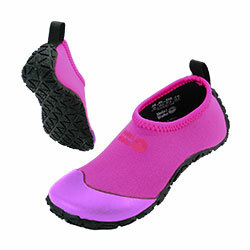 With the rubber of the heel firmly supporting the foot, the shoes have excellent fit. 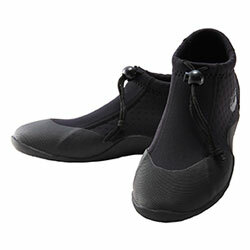 Also prevents the straps from slipping off when wearing fins. The incredibly durable and flexible sole allows you to wear it comfortably like a pair of sandals on the beach and even walk with confidence on rocky shores.